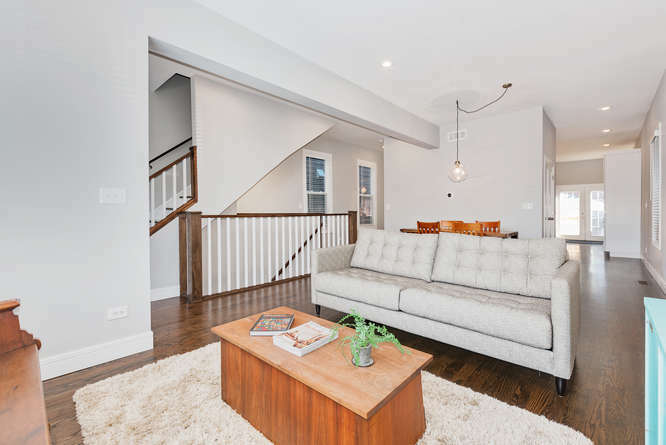 Exquisite 2,900 square feet home in the heart of Logan Square, open and light filled. 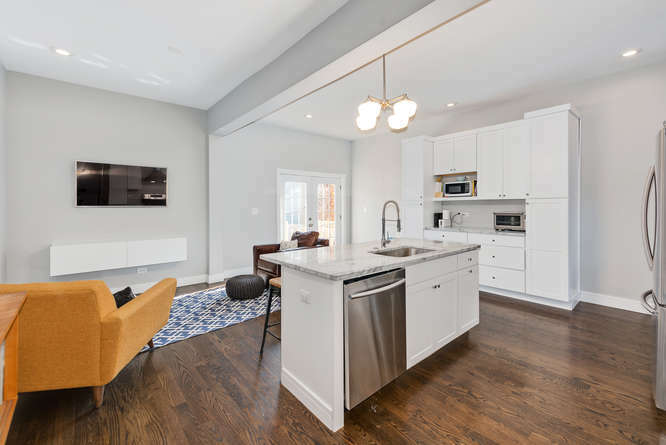 Gorgeous home boasts 4 bedrooms, 3.5 bathrooms, 2 family rooms, all closets retrofitted with closet organizers, 10′ ceilings, professionally designed and landscaped backyard with pavers. 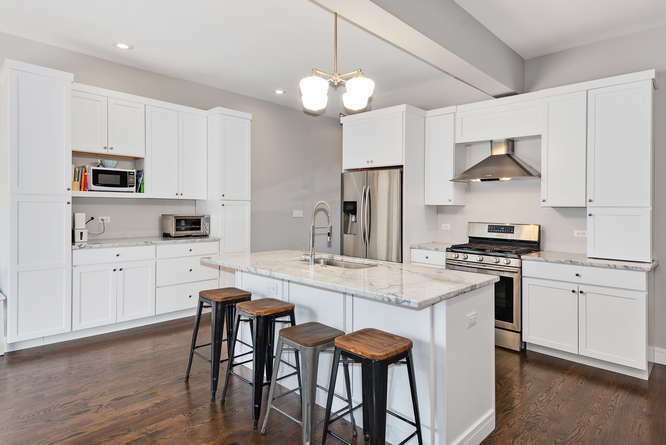 The designer kitchen includes Carrara marble countertops, white shaker cabinets, 8′ long island breakfast bar, a huge walk in pantry, stainless steel appliances. 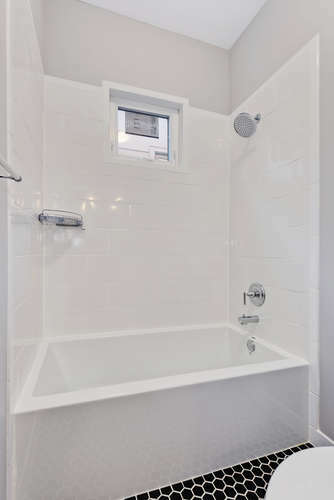 Timeless marble tile master bathrooms, double sink vanities, 2nd floor laundry. 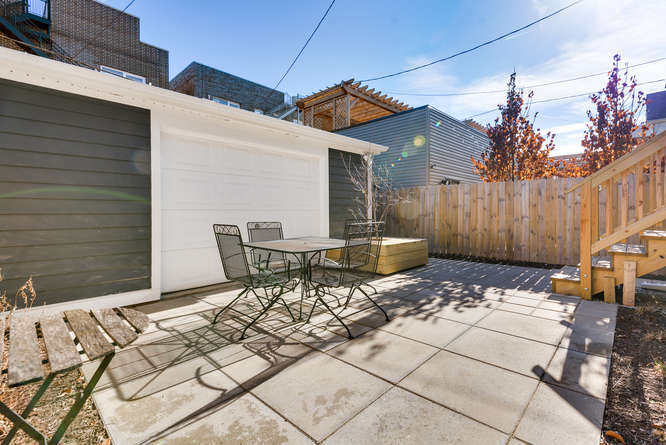 The house has premium cement board clad siding, dual HVAC system, sump pump with battery backup, 2 car garage with party door and a bonus attic space for play area or storage. 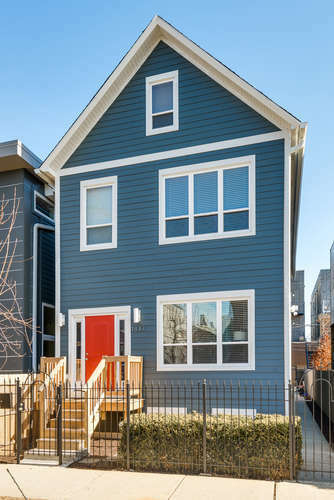 Direct views of 606 trail, located on street filled with new construction, walk to blue line stop, steps to all the restaurants and shops. 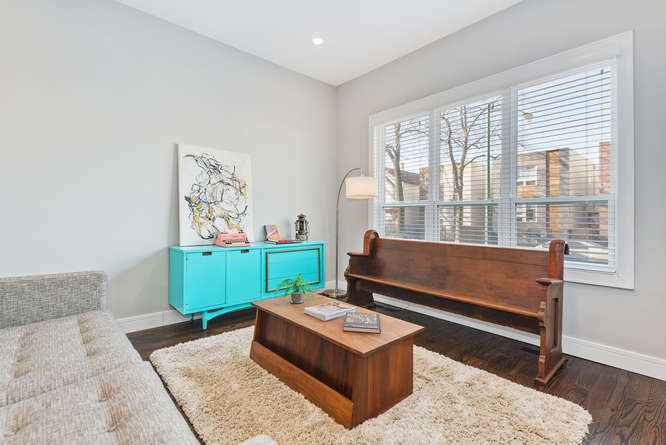 Tall windows and Western exposure allow for enviable natural light. 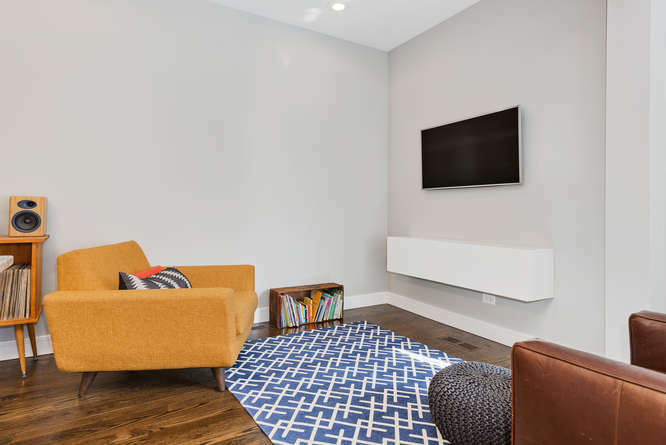 Modern open layout is ideal for entertaining. 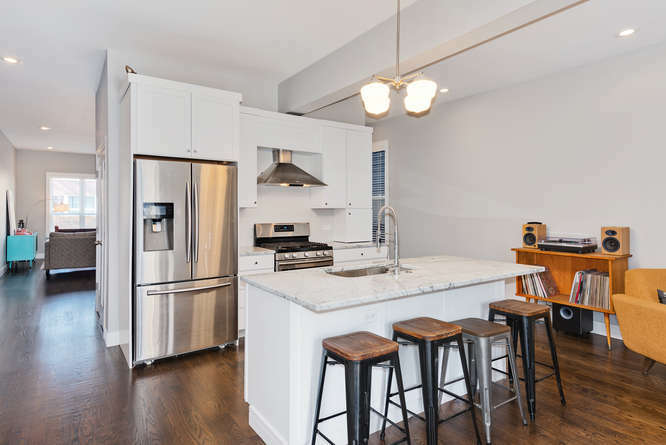 You’ll love to entertain in this perfectly designed kitchen. The 8 feet long island easily sits 4-5 guests. The family room with surely be the main gathering space. 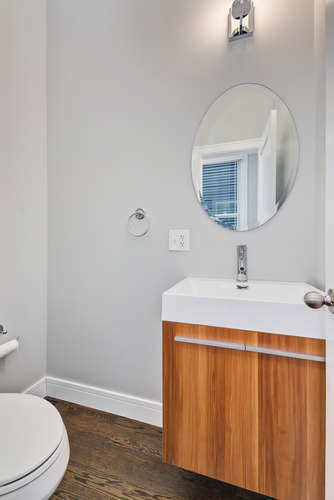 Every bathroom has modern floating vanities. 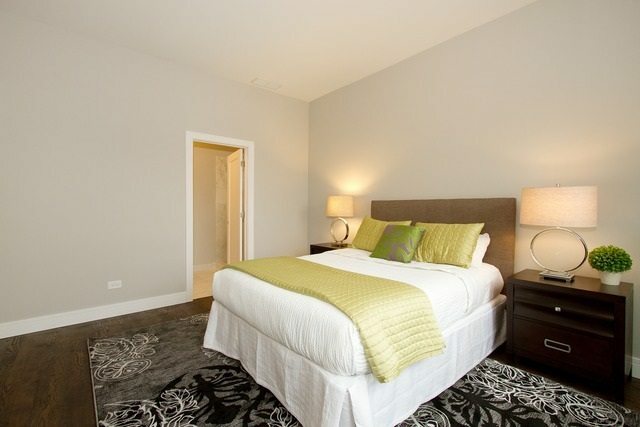 The master suite has a large master bathroom and spacious walk in closet. 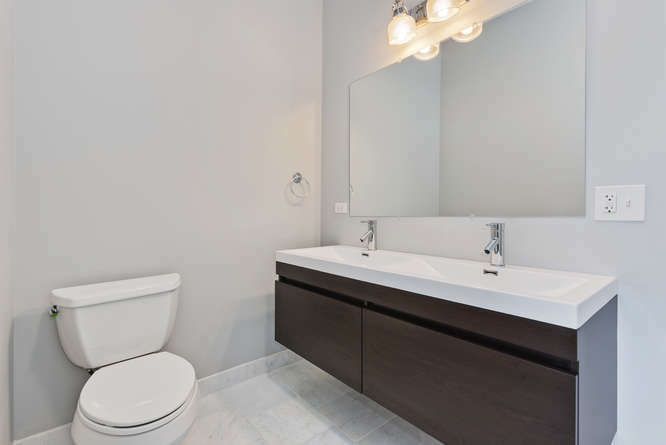 The master bathroom has timeless white marble tiles. 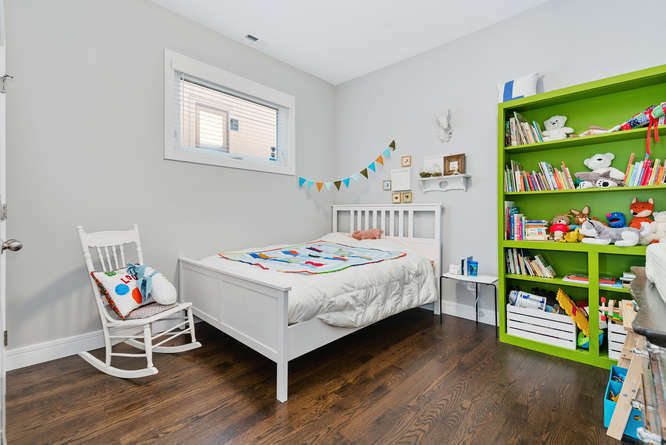 Every bedroom has plenty of space and closets. 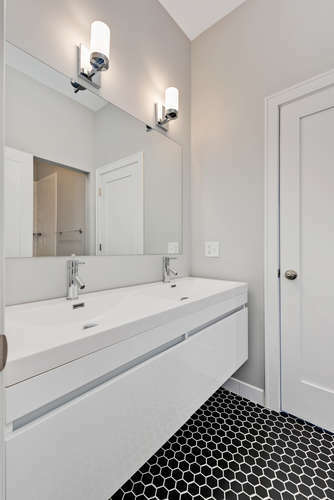 The 2nd bathroom has double vanity, honeycomb black hex tile and white subway tile. 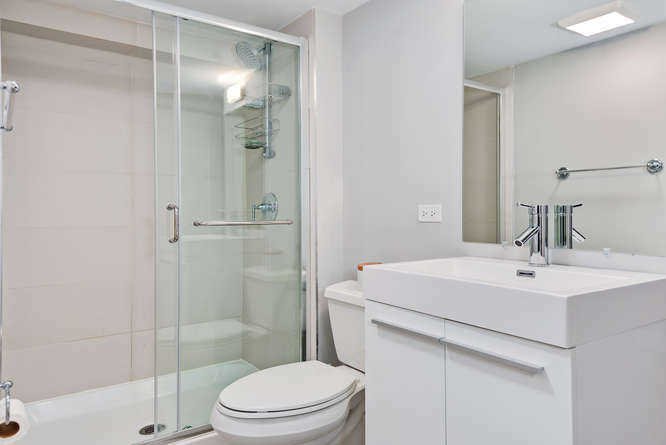 Jack and Jill bathroom for easy access from both bedrooms. 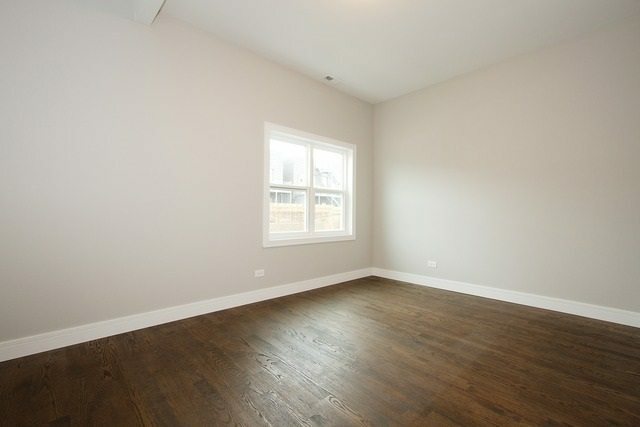 Good sized bedroom with hardwood floors. 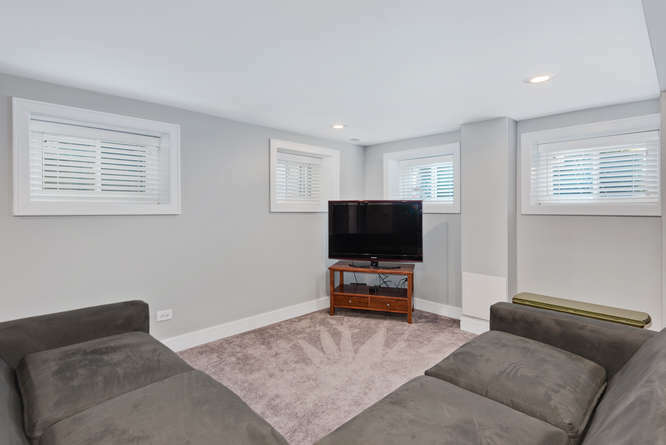 The 2nd family room on the lower level is the ideal room for movie watching. 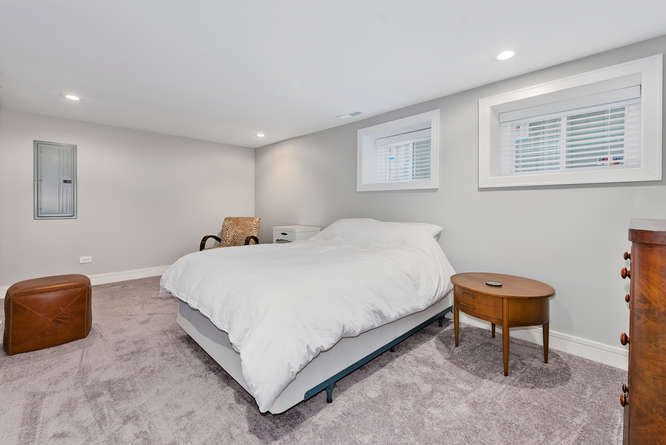 Your out of town guests will feel comfortable in this large 4th, guest bedroom. A 3rd full bathroom is located next to the 4th bedroom. 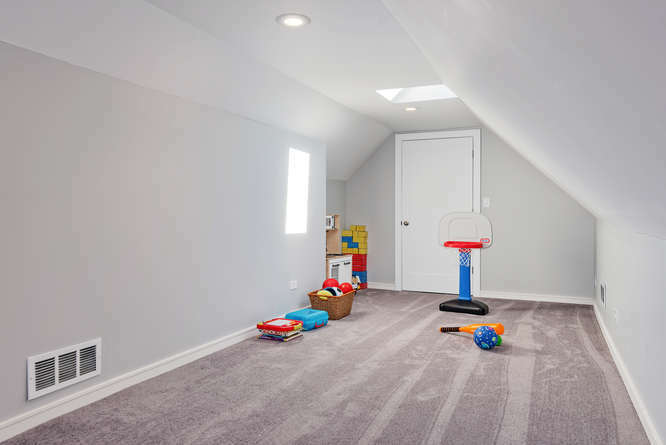 This is your bonus room that can serve as a play area, home office or additional storage. 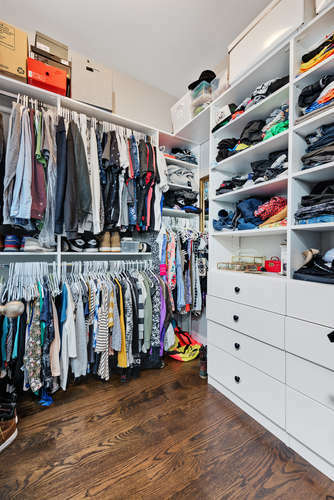 All of the closets have closet organizing systems. Welcome to your urban oasis. 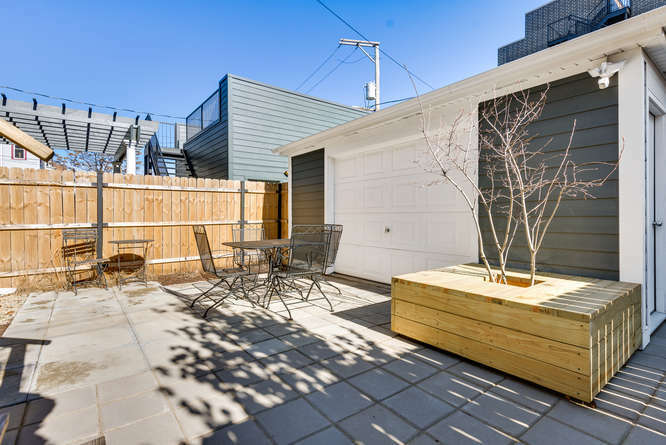 The back yard has been professionally designed by one of Chicago’s premier landscaping companies. 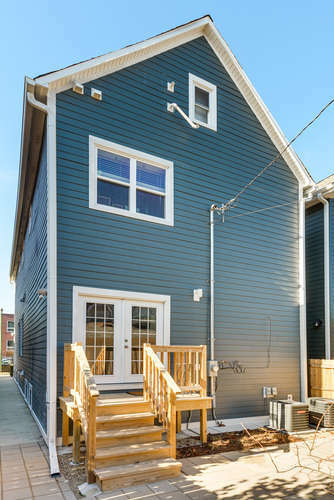 Premium cement board siding and dual HVAC system.